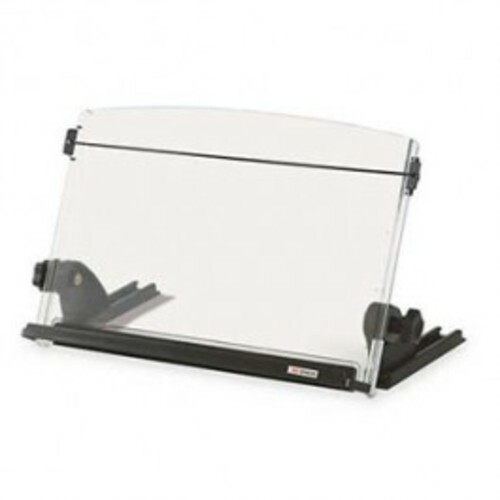 A plastic, compact, angle adjustable, free-standing document holder with a 150 A4 sheet capacity suitable for workstations with less space. 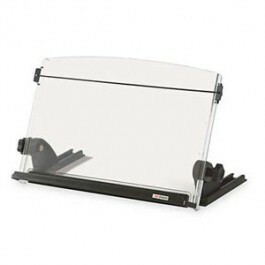 It has an integrated elastic guideline to assist with keeping place when reading and with holding the page open. Designed to be used between the keyboard and the monitor, but can also be mounted with adhesive to hang over the edge of the desk.